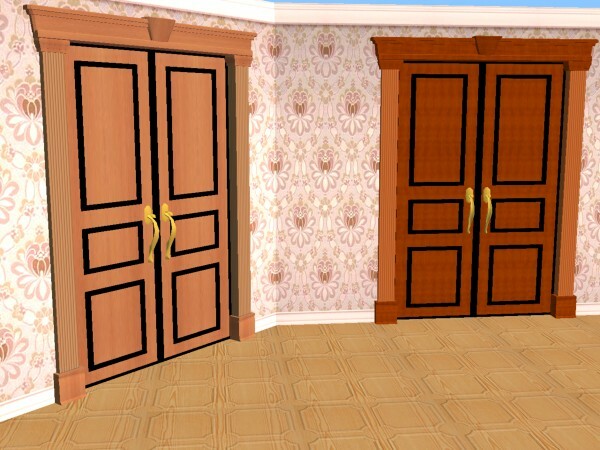 Here is a new, small door and window set for you. I call this “Le Petit Trianon Collection”. It is made up of a one and two tile window, a two tile glass door and solid door. These are also one story meshes. Le Petit Trianon is a small pavilion on the grounds of Versailles that Louis XV built for himself as a small getaway. 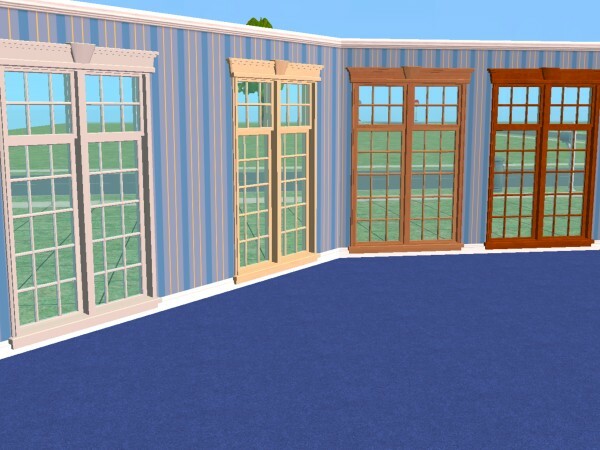 Although small, the architectural details of the pavilion are truly amazing, and I guess this is what inspired me to make this small collection. 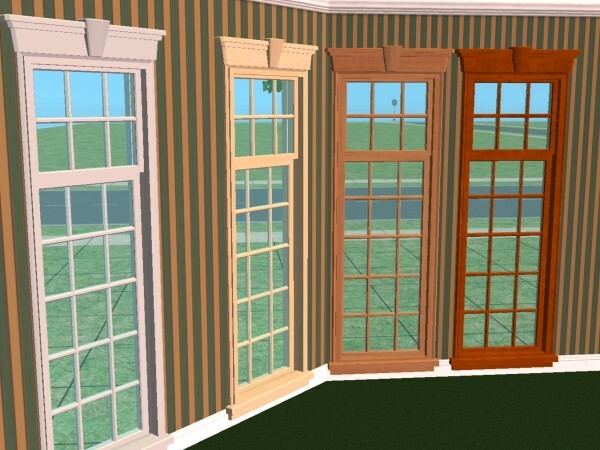 The windows and doors CAN be placed on diagonal walls, but you have to download the diagonal meshes too. I have also added a recolor package if you like. The textures and quality are much better in the game than the picture shows. 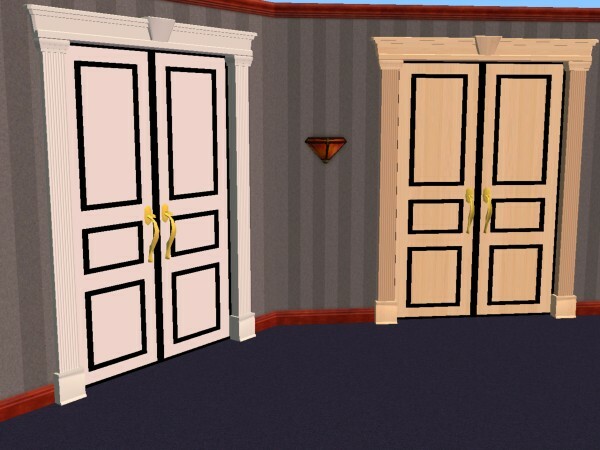 Please feel free to recolor these if you like, remember that if you do, you only need to recolor the mesh, NOT the diagonal mesh as the diagonal mesh borrows the textures from the original mesh. 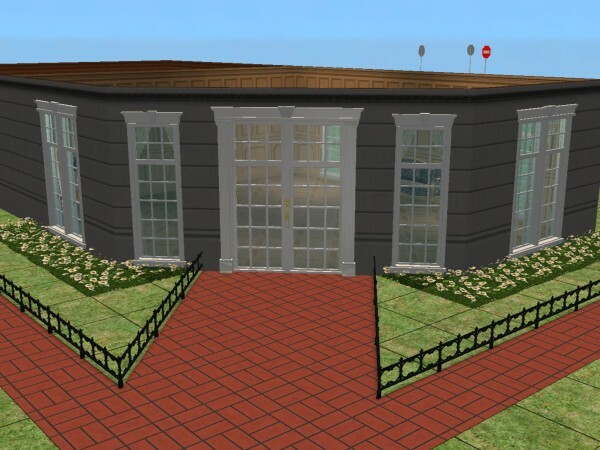 The mesh may not be uploaded to another website, group, or forum. Please link back to this thread with proper credits. These work fine in my game, but if you have any problems with them, please let me know, and I will do my best to correct them.